You eat clean, you work hard, and you need a protein powder that can keep up. Quest Nutrition Quest Protein is made from the highest quality protein sources including whey isolate, micellar casein, and milk protein isolate. It contains a high protein-to-calorie ratio, no added sugar, no fat, and no junk. It tastes amazing and delivers a superior nutritional profile to support muscle growth, performance, and recovery. As a goal-driven individual, Quest Protein helps you maintain control over your nutrition. Its advanced 3 protein blend delivers all the essential amino acids your body needs to activate protein synthesis for maximum growth and recovery. Quest Protein delivers optimal nutrition to achieve your strength, body composition, and muscle building goals. With both whey and casein proteins, Quest Protein provides a quick spike in plasma amino acids, followed by a sustained release of anabolic amino acids for several hours after consumption. Quest Protein can even help reduce appetite and prevent cravings, keeping you on track for your fat loss goals. Quest Protein is gluten and soy free, and mixes easily with any of your favorite beverages – even water! You’ll love the mouth-watering flavors of Quest Protein. With so many options, you’re bound to find the perfect match that fits neatly into your clean eating and exercise routine. Ha E, Zemel MB. Functional Properties of Whey, Whey Components, and Essential Amino Acids: Mechanisms Underlying Health Benefits for Active People (Review). The Journal of Nutritional Biochemistry. 14:5. (2003): 251-258. Blomstrand E, et al. Branched-Chain Amino Acids Activate Key Enzymes in Protein Synthesis after Physical Exercise. The Journal of Nutrition. 136:1. (2006): 269-273. Alan H, Cribb PJ. Effect of Whey Protein Isolate on Strength, Body Composition, and Muscle Hypertrophy During Resistance Training. Current Opinion in Clinical Nutrition & Metabolic Care. 11:1. (2008): 40-44. Hall WL, et al. Casein and Whey Exert Different Effects on Plasma Amino Acid Profiles, Gastrointestinal Hormone Secretion and Appetite. British Journal of Nutrition. 89:2. (2003): 239-248. Lejeune MP, et al. Additional Protein Intake Limits Weight Regain After Weight Loss in Humans. British Journal of Nutrition. 93:2. (2005): 281-289. Used Quest protein power shakes, recommended by my doctor, with healthy eating and lost 50 lbs in 3 months with no exercise. I love using this to bake with! It mixes superbly and smells wonderful! You can tell that this is a quality protein and made very well. Quest is an incredible brand! Great tasting product at a very good price (best I could find online). It’s great by itself or for that extra fun flavor blend with a banana. It’s creamy, mixes verywell either in a blender or a shaker bottle. Quest protein powder has the best texture of any protein powder I have tried and they have many delicious flavors. The price cannot be beat either…. Love this Quest protein, I mix it in my oatmeal, and my protein shakes, Great price best I found online. Love the chocolate quest protein ..Will buy again. Just started a diet ..hope to loose weight. Awesome price .. Blends well, tastes great and fills you up. I’d love to see a larger variety of flavors, but I’m sure that’s coming 🙂 I have finally found a keeper. I use this as a protein shake on its own, or mix it in as a smoothie base with a bunch of fruit and oats. By far the best tasting protein I’ve ever had, with a healthy amount of protein without too much sugar or ridiculous additives. Great protein shake for working out!! This is a great product. Great nutrition and terrific taste. We use it every day for breakfast. I have tried many protein shakes after my Bariatric Surgery. Quest Peanut Butter Flavor is the one I keep going back to. Delicious, low in sugar and high in protein. Tastes great with Almond Milk. Mixes so well, love it in Greek yogurt and oatmeal. Great taste! Awesome! I use this at night to supplement casein. Great flavor and easy to bake with also. How many servings in a canister? Depending on the flavor of Quest Nutrition’s Protein Powder you choose, servings per container range from 29-32 single scoops. My question is: does this company has international delivery? Buying in USA and deliver to Mexico? eSupplements.com does deliver internationally. Simply choose your country, input your postal code, and select your preferred delivery method at checkout. Great product, I use it for baking donuts and waffles. Great product, I use it for baking! I have used many protein powders as a gastric bypass patient and this one is by far the best! Thick, smooth and no yucky after taste!! I would prefer a 4.5 rating – that is not an option so I went with 5. The protein has a great texture and mixes well. The artificial sweetner is a little strong for my taste so I don’t care for any of them simply mixed with water or unsweetened soy milk. However, when I add a little PB2 to the PB protein, or various fruits to the strawberry and Vanilla I end up with an amazing tasting shake. I will definitely continue purchasing these proteins! Blends up really well & the taste is fantastic! I’ve tried many whey supplements and Quest is by far the best tasting and best dissolving. It makes a fantastic smoothie and is our breakfast every day. It is quite filling and We love it! This protein is very versatile. Makes awesome Shakes for snacks through out the day. It always rock in baking or just adding to you oatmeal or yogurt. It satisfies savory and sweet all in one scoop. Great stuff! My favorite protein powder and my favorite flavor is Banana Cream. Shopped around and this is best price, especially if you buy 3. Delicious! You can blend with just water or add almond milk and ice and it tastes great! Each container of Quest Nutrition Protein Powder holds about 28 servings. Love the powders – bake a lot of bread using them and also muffins. The best protein shake I’ve tasted. Best tasting quest powder, and probably best tasting protein shake. Yum. Been using this for a while now – cheapest prices I have seen when you buy two. Best tasting protein shake I’ve tried. I love, I use the multi purpose and bake with it. Everything is yummy!! Love your protein powders espcially for women! They are low in calories and carbs and taste great! Hands down best tasting protein. May not contain as much protein per serving but absolutely worth it! Cookies and Cream is my favorite. I like the chocolate as well. I mix it with water and ice then blend. I look forward to my morning shakes every day. This protein powder is delicious, and is low calorie, low carb, and high protein. A great combination. Mixes easily with a little water, and tastes great. Would definitely purchase again. I’ve tried a lot of different protein powders, and this is by far my favorite! Great taste, no grainy texture like some powders. Favorite flavors are salted Carmel and banana cream! I love this one, I’d definitely say that the little chunks of cookie bits might not be for everyone depending if you’re a stickler about chunks in your protein. That being said it’s one of my favorite flavors, not too sweet like some but still has great flavor and worth the price on this site. I’m pretty glad I found it on eSupplements because other places want to charge you twice as much. At this point I’ve tried a couple flavors of protein, and some are awesome but this one is like my bread and butter. This one tastes great, and is a great quality protein. I also like that it’s not crazy sweet like some other flavors, it’s the best flavor I’ve tried so far. If you like peanut butter even a little you’ll like this, I’ve never been a fan of the stuff but I really like this protein. My husband keeps stealing it because he likes it too and stopped buying his brand all together since this is great quality stuff and tastes amazing. Quest never disapoints…neither does esupplements!! Fast and gauranteed product…???? Tastes wonderful, mixes well and fills you up. I absolutely love this protein powder!! Amazing flavor and low in calorie!! Love my Quest Protein Powder!! I use the Vanilla Milkshake Protein Powder to make cinnamon roll bread, plain bread for sandwiches and anything I can find to use it in. I love bread but due to the carbs I haven’t been able to eat it until I found Quest about a year ago. Since then I have some type of bread baked all the time and that’s my dessert at night, two slices of cinnamon roll toast. I love my Quest Protein powder. It tastes great and gives me the protein I need without too many calories or carbs. I’ve tried other low calorie brands and this is by far my favorite. So far I have tried the chocolate, banana, and cookies and cream and I like them all. And the price at esupplements is great too which is a bonus! I love this stuff, drink 4-5 glasses a day. Can mix with either water, coffee or silk. Just make sure you mix it with a small amount of room temp water before you mix it with anything else. It is helping me to achieve my weight loss goals. Mix together thoroughly and microwave one-two minutes. Delicious! 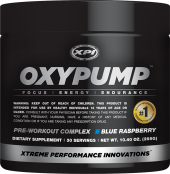 A great product and the BEST PRICE is from esupplements. Thanks. This is the best tasting protein I’ve ever had. It is very seeet tasting compared to most without sugars. Love the Quest protein powder and bars! Awesome deal! I purchased the peanut butter and omggg. So delicious, so filling and kills my overactive sweet tooth instantly. I tried the peanut butter flavor and it was delicious. Even my girlfriend that doesn’t like the taste of most protein powders loved this flavor. I love the cookies and cream and peanut butter flavors. It doesn’t taste chalky or have a weird after taste or texture like some protein shakes I’ve tried. It honestly tastes like I’m drinking a milkshake. This tastes great with just water which is how I drink it most of the time and occasionally I add a small amount of peanut butter to it. I have 4 kids that range from newborn to age 5 so having something quick and nutritious is kind of a necessity for me since I don’t have a lot of time to make breakfast or lunch for myself sometimes. I also lift so I need it for recovery and muscle growth. I highly recommend giving this a try if your on the fence about it because I think you’ll be pleasantly surprised. Best protein powder. I get the chocolate or vanilla flavor. Best value here on esupplements! I had to check out Quest Nutrition after seeing co-founder Tom Bilyeu’s videos on YouTube. If the Quest Nutrition bars taste better than the protein shake, then I am definitely missing something phenomenal! I bought the cookies ‘n cream and the vanilla milkshake for BOGO 50% off. The shakes are extra thick, no bananas, walnuts, pecans, etc. needed to thicken it. This is a no nonsense multi-purpose product that gives you what you need when you need it. And hey, it can also make pancakes!!! Pretty good with some chocolate milk for extra flavor but not as good as the cookies and creme. This product tastes fantastic as a shake! I add spinach and kale in the blender and love it! Quest Protein by Quest Nutrition is the ultimate clean whey protein isolate powder that combines the highest quality protein sources in a high protein-to-calorie ratio. Quest Protein delivers delicious flavors without the added junk for amazing taste and superior nutrition. Combine 8 oz of cold water or beverage of choice per full scoop of Quest Protein. Combine in a blender if possible for best texture. Take as often as needed to meet your daily protein requirements. Do not use as your sole source of nutrition. Whey Protein Isolate – As one of the most popular and widely used protein sources on the market, whey protein isolate truly lives up to its reputation, delivering a wide array of concentrated amino acids in a pure, fast-absorbing blend for maximum growth, performance, and recovery. Micellar Casein – Casein, one of the two proteins found in milk, is a slow-digesting protein source. It contains all of the EAAs and BCAAs needed for muscle growth and recovery, but releases them slowly into your system over a period of several hours to keep your body in a long-lasting anabolic and recovery state. Milk Protein Isolate – Milk protein isolate contains both whey and casein proteins combined in a powder standardized to contain a 90% protein concentration by weight. It increases plasma amino acid levels steadily throughout the day to keep your muscles fueled for maximum strength and efficient growth. Q. Is Quest Protein Considered “Clean”? A. Absolutely! Quest Protein is made from the highest quality protein sources and delivers a high protein-to-calories ratio, cutting out the added junk. It is the perfect addition to any clean eating diet, providing you pure nutrition without the added filers. Q. Will I Enjoy the Flavor of Quest Protein? A. With so many flavors to choose from, you’re bound to find a flavor you LOVE! Quest Protein tastes TOO good – you’ll have to convince yourself that this tasty treat is actually healthy! Q. How Can I Maximize the Benefits of Quest Protein? A. For best results, consume 1-1.5g of protein per kg of body weight per day through a combination of high protein foods and Quest Protein. Take before and after your workouts, as well as between meals and/or first thing in the morning on recovery days if desired. Q. What Makes Quest Protein Stand Out? A. What DOESN’T make Quest Protein stand out?! Between a clean-eating formula, a high protein-to-calorie ratio, an advanced blend of the highest quality sources, mouth-watering flavors, and an affordable price, it doesn’t get much better than Quest Protein.